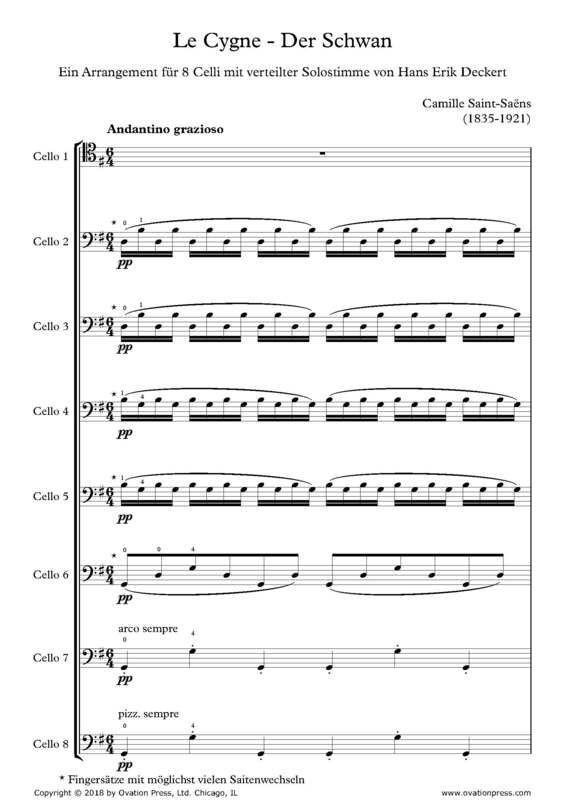 In this arrangement for cello octet the solo part is now integrated into all eight cello parts with the aim that all in turn will play a few bars of the solo. The challenge thus lies in the fact that the solo part is carried out by eight soloists who constantly have to pass the solo line on to each other. It is an excellent and fun exercise in blending tonal quality and expression. Deckert has also made an arrangement of The Swan for cello quintet.